It’s no surprise that some of the largest and most loyal user bases are connected to mobile apps and services that focus on communication. We had the same experience with our applications too: the apps where people could interact with each other or the company were always turned out to be the most useful software in their portfolio. Users wanted more interaction (but only if they needed it!) and more content that was more personalized for the issues they had at any given moment. However, there were always challenges regarding how to deliver so much more with limited resources and how to respond to everyone at different times. Our partners asked all the time about how they could serve these users with higher efficiency. They had all the information, they just struggled to deliver it when their customers were asking for it. We have seen that these issues are especially important in customer service heavy businesses, financial institutes, insurance agencies and sports clubs (there are probably many more). We have always been big fans of automated processes in the software industry and felt that this would be a good opportunity to start experimenting with automated messaging and communication on smartphones that would deliver content based on the conversation flow. We started to experiment with our first chatbot solution at the beginning of 2016 and dedicated some time and resources to build something that we thought could be the answer to these challenges. After testing our bots live (and testing countless other chatbot solutions as well), we have started to understand what was flawed about most of the existing solutions and what the users really wanted – regardless of the industry. We took our time and re-created our whole system from the basics, using a different approach, only focusing on those points and the conversation experience that is important for the user. Fast forward a few months (and a few versions), by the beginning of 2017 we decided to dedicate most of our resources to further developing our chatbot technology (the Canebot v2) and integrate it into a number of different services (if you are interested in learning more or would like to try it for your organization, please contact us here). This year looks bright and we believe that there will be a number of really interesting solutions in this segment. 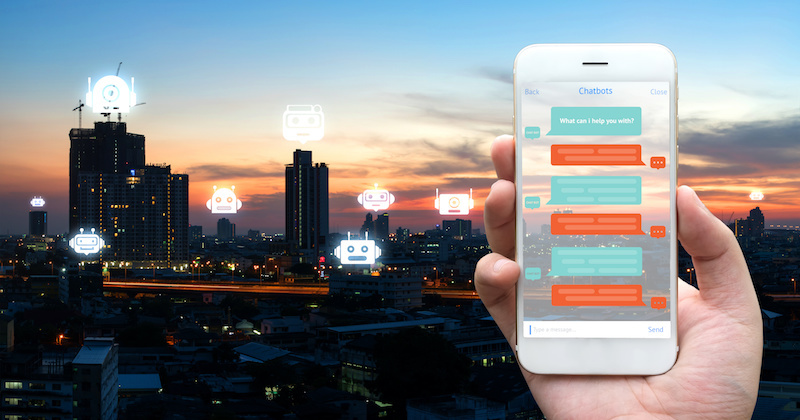 As messaging is growing in popularity and chatbots are going to be the new browsers to some extent, key industry players will have to learn and implement these solutions to stay competitive and on the top of their game.